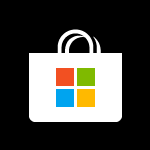 The Microsoft Store app in Windows 10 offers various apps, games, music, movies & TV, and books that users can browse through, purchase, or get for free to download and install for their Microsoft account in Windows 10 PCs and devices. There are several reasons why users will continue using local accounts in addition to Microsoft accounts. In my case for instance I like to set up Windows 10 PC with a local adminitrator account and add my my Microsoft account as a standard account. Other users might have other reasons to use local accounts. Whatever reason you have to use a local account, if you want to use apps from Windows Store you will need a Microsoft account. If you don't have one you can create a new Microsoft account. However, to download and install apps from Windows Store you don't have to switch to a Microsoft account. You can continue using a local account to sign in to Windows, and use the Microsoft account only to sign in to Windows Store to download apps. This tutorial will show how to continue using Windows with a local account using Microsoft account only to sign in to Windows Store to be able to install apps. The screenshots in this tutorial are made in Build 14342. The process itself is however the same in all Windows 10 versions and builds. Do not enter your current Windows password, do not click Next in this dialog! In doing so you will convert your local Windows user account to a Microsoft account. Is there a similar way to do this on Windows 8.1 ? I'm having an issue with a fresh install of Windows 10 (Pro) Version 1511 (Build 10586.545) using a local account to log in. I am able to open the Windows store app and have tried using the the process described in this thread as well as using the login icon in the app, neither bring up a login screen or wizard to add my Microsoft account to store. I created a new user on my PC using my Microsoft account and the app store works just fine from there, except I'm unable to see the installed apps logging in as the local user. I noticed MS if having some issues with the MS store for about a week or so. Has anyone experienced this issue or know how to fix it for a local user? Thanks in advance! Title says it all. I like to boot up and log in with no password but I want to use my Microsoft account when I am fooling with store apps. Is this possible?